Wayne Baize has shown an interest in art since his school days in Hamlin, Texas. His First private art teacher was Sarah McDonald, a friend of Frank Tenney Johnson. Today old classmates claim they still have sketches that he did back then. After high school graduation, Wayne set up a drawing table at Luskey’s Western Store in Abilene where he worked on portraits of people and horses. Wayne has always been thankful that he took the step to be a full time artist when the popularity of western art was on a huge upswing. He recalls going to Bill Burford’s shows in Dallas at the Adolphus Hotel where a sell-out was almost guaranteed. Often, when the doors to the show were opened, people stampeded into the ballroom to grab the purchase tag off of the picture they wanted. Sometimes they settled for any painting with a tag they could grab. Baize remembers taking a place behind a pillar before the doors opened to be out of the way of the stampede. He believes the art market today is much more stable that it was back then because buyers have become much more discerning about the art they buy. 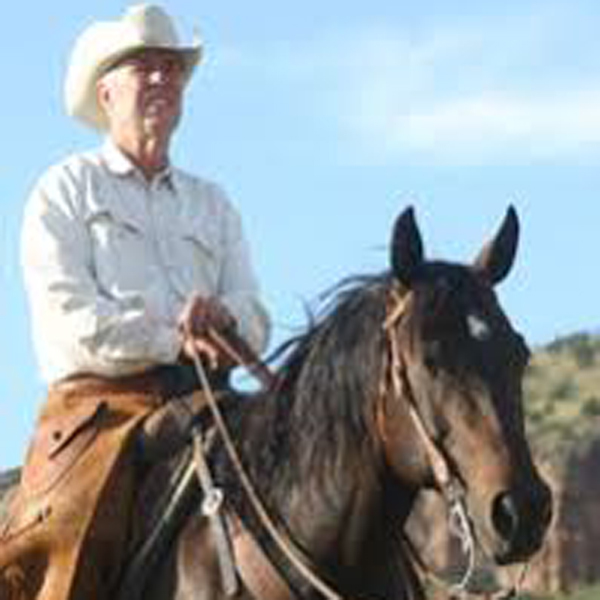 In the early seventies, Baize began making trips out to the Davis Mountains near Fort Davis, Texas where he gathered material for his drawings by taking photographs on the 06 Ranch and other ranches throughout the area. He decided to buy some property from Mr. Largent and in the process met his future wife, Mr. Largent’s daughter, Ellen. The Largent family raised registered Hereford cattle and Wayne decided to start his own herd. He prefers to paint Hereford cattle because more expression is visible on their white faces. He often includes his own cattle in his paintings. Although cattle are included in the majority of his paintings, Wayne’s favorite subjects are his horses. He is especially talented when portraying a horse and is known for his ability to accurately portray their muscling and structure. His four children, Elizabeth, William, Jonathan, and Charles each have their own quarter horses which they care for and train. The children and their horses are also often seen in Wayne’s paintings. In the late eighties, Baize shifted his focus away from the mixed media and pencil drawings, of which he had become so accustomed, and took the huge step of putting his main efforts into oil paintings. The transition was encouraged by the prestigious Cowboy Artists of America. With the critics of Cowboy Artist, Tom Ryan, and diligent hard work, Wayne made a relatively rapid transition into the world of oil paintings. In 1995 he was invited to become a member of the Cowboy Artists of America. Wayne Baize considers this to be the highest honor that he could obtain in his art career. Wayne’s studio is graced by art awards with he has received from around the country through the years. These include the silver medal award for drawings at the 1997 Cowboy Artist Show . Most recently he was awarded the American Cowboy Culture Award for 2004.